Fin Art is the result of a chance adventure between two friends. 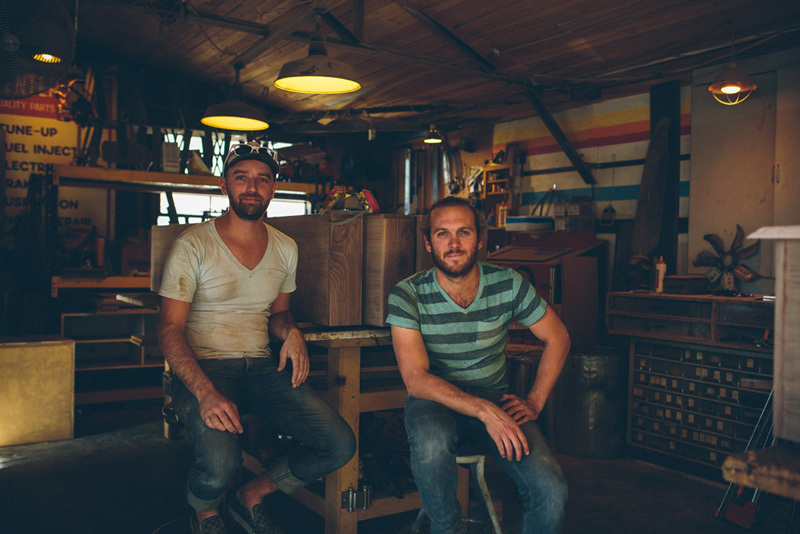 Rob McGowan and Ben Olson started Fin Art equipped with natural design sensibilities and a simple curiosity to see what their hands could produce by building modern furniture for themselves and their friends. When one project led to the next and the work kept coming in, Rob and Ben discovered a place for themselves as furniture designers and makers and have been growing ever since. Today, they are joined by Mason, Aaron and Jordan, building custom modern furniture and environments for a variety of appreciators. 2013. Video produced by Boyte Creative. 2013. Ben & Rob at Fin Art's first studio. Image by Shaun Boyte. 2015. From L > R: Jordan, Aaron, Mason, Ben, Rob. Image by James Cromwell Holden. 2015. Produced by Visual Revolutionary.